With a nautical all white theme in mind this bride and groom choose the Sandringham Yacht Club as the perfect background for their wedding days. Bianca held an all white rose bouquet which was simple but classical while the bridesmaids wearing navy blue added a bit of colour with pale pink and white roses. The stunning 4 tiered cake was finished off with white and pale pink roses the yacht club in the back ground is amazing. 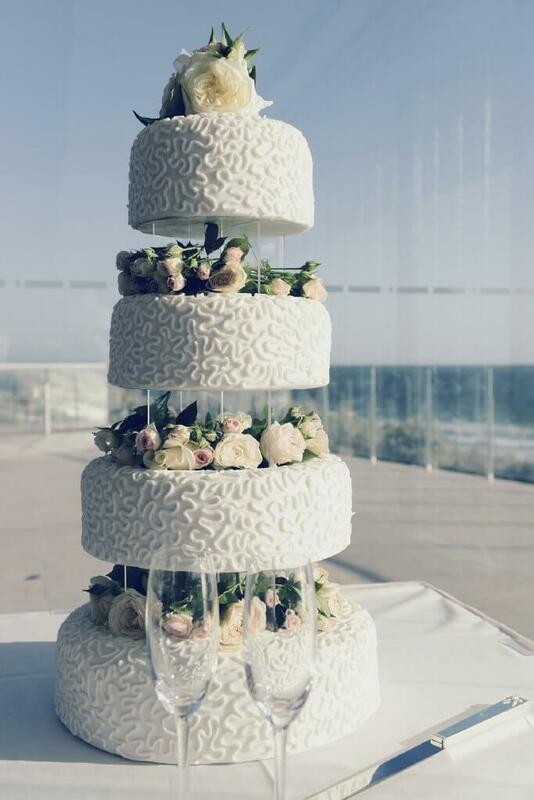 This entry was posted in Bayside Weddings and Events and tagged #baysidebouquets, #beachweddings, #easyweddings, #melbourneweddings, #sandringham, #whitewedding, #yachtclub.